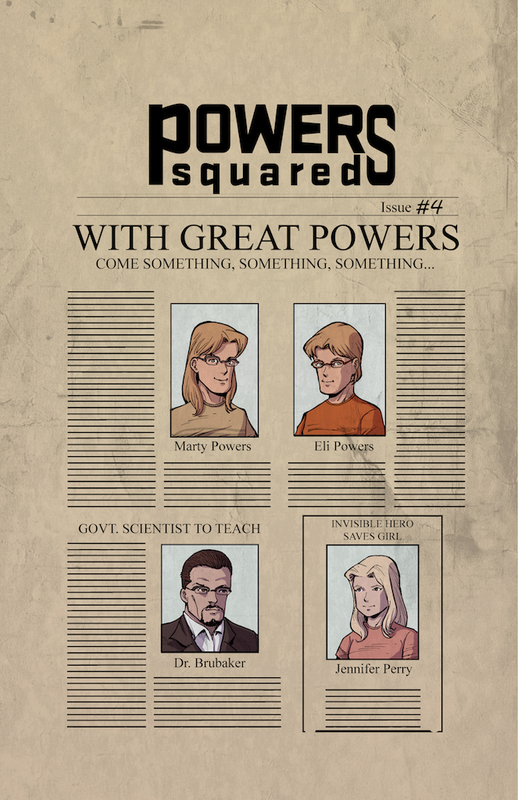 [EXCLUSIVE] Comixology Preview: Powers Squared #3 – AiPT! 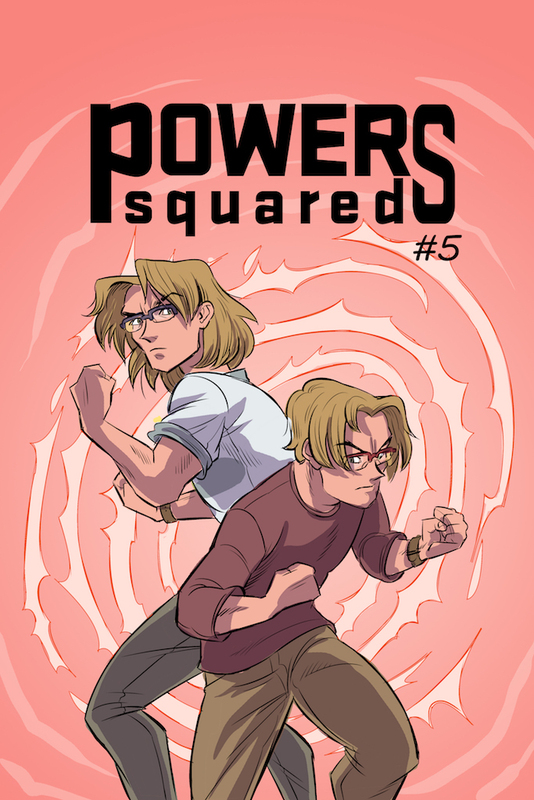 Powers Squared follows the adventures of twins, Marty and Eli Powers, who are away from home for the first time living with their uncle and attending college. 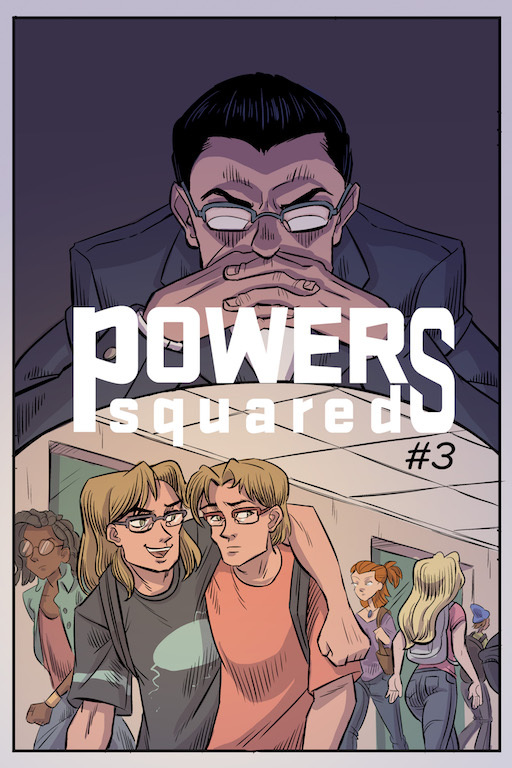 Powers Squared follows the adventures of twins, Marty and Eli Powers, who are away from home for the first time living with their uncle and attending college. Unbeknownst to them, the twins were granted super abilities when they were seven-years-old by a Kitsune (a fox in Japanese folklore) that they saved from danger. 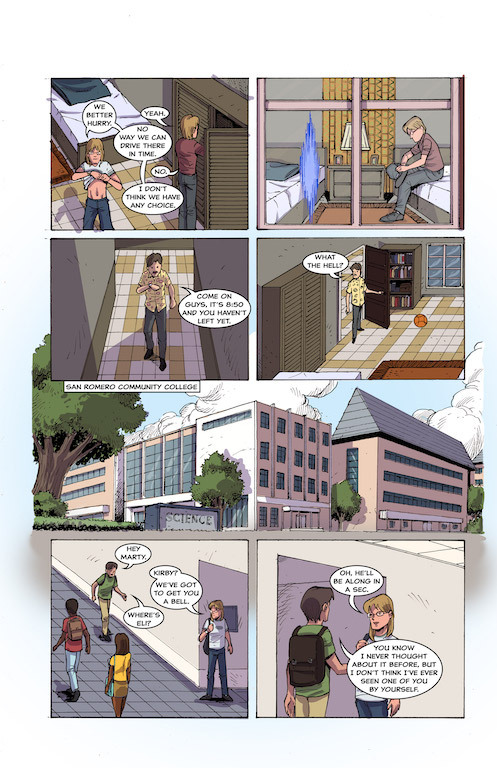 One day strange things begin to happen to Marty and Eli and they are unexpectedly noticed by their science instructor at San Romero Community College. 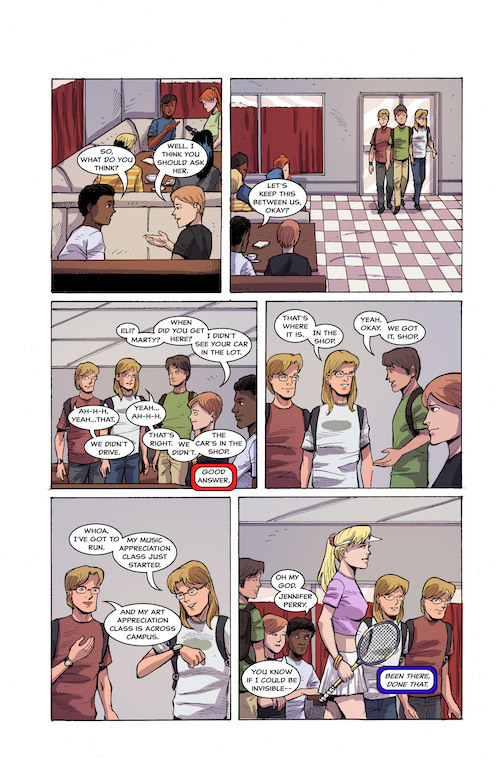 Now, rather than having fun and dating, Marty and Eli have to defend themselves, their family, and their friends from people who will stop at nothing to obtain and control the powers they possess. 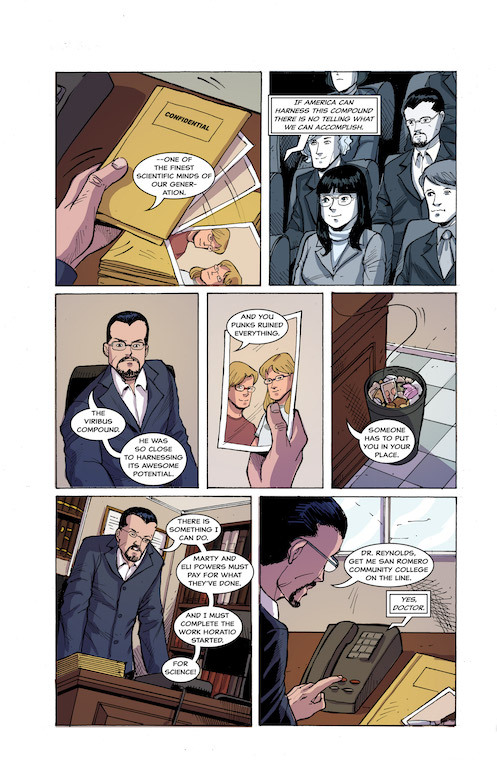 After defeating Dr. Atlas, Marty and Eli must face Dr. Brubaker and his teaching assistant Dr. Reynolds. Followers of Dr. Atlas’, they are determined to carry on their work and defeat the Powers twins in the name of science. 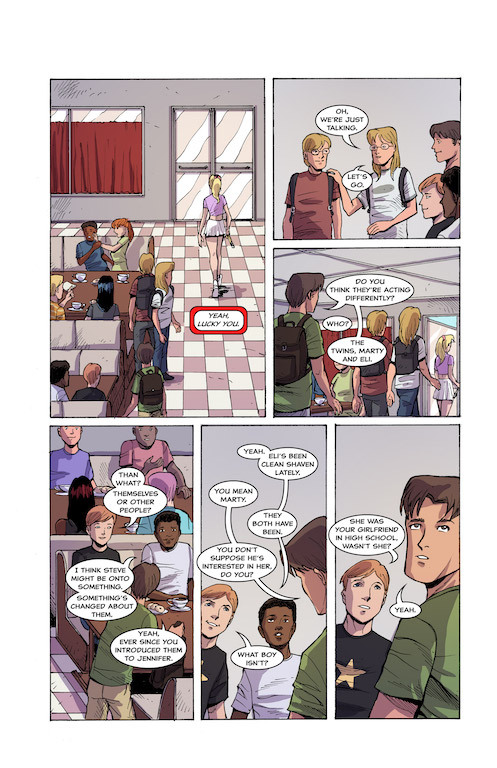 Issue #4 and #5 will be releasing June 27th as well. 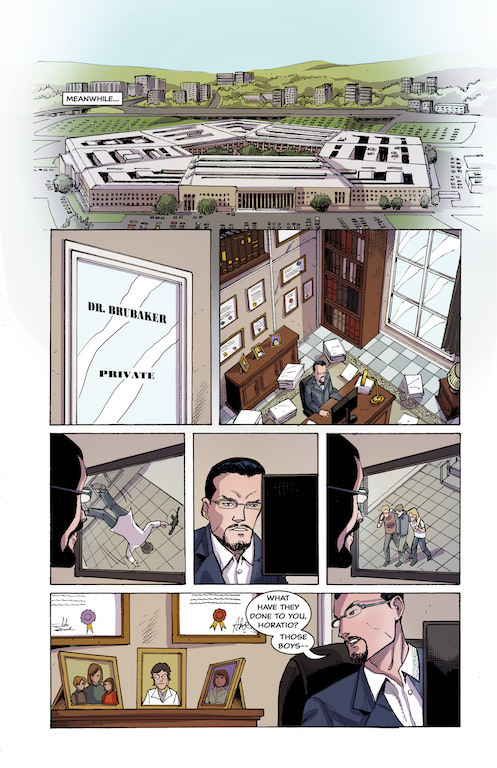 Eli, along with Kirby, Steve and Don, gets caught in a trap set by Dr. Brubaker. Marty and Mocha must come to their rescue. 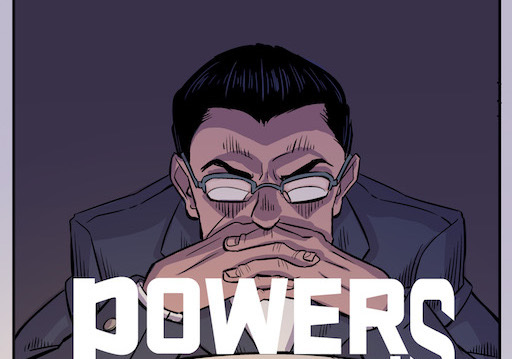 After freeing themselves from Dr. Brubaker, Marty and Eli discover new foes and a new power.